The bears are fighting back control, as we progress towards the European opening, with the EUR/USD pair testing daily lows of 1.1138. 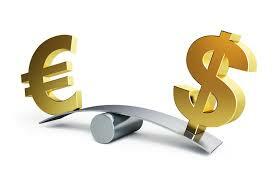 The overnight recovery in EUR/USD from two-week lows of 1.1132 lost legs near 1.1160 levels, as broad based US dollar demand appears to have seeped back into markets amid a positive tone seen around Treasury yields. Treasury yields continue to extend the rebound on increased hopes of balance sheet normalization beginning as early as this September, after the Fed unveiled its plans to normalize the balance sheet in its policy statement. The US central bank hiked rates on Wednesday by 25 bps as widely expected and hinted towards another rate hike later this year. Moreover, the Euro also remains under pressure, as markets expect the Eurozone inflation to drop 0.1% m/m, while the annualized core inflation growth is expected to have slowed to 0.9% from the previous month’s 1.2% rise. Next of note for the major also remains a flurry of US macro news, which includes housing data, consumer sentiment and LMCI data, due later in the NA session.